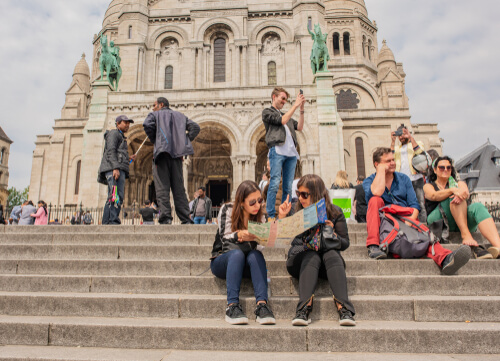 You don’t have to be a Francophile to master the French language. The French, like many other nationalities, love their mother tongue and immediately warm to any visitor who takes the trouble to pronounce their bonjour and merci perfectly. A romance language that evolved from Gallo-Roman dialects spoken in Northern France, the French language today owes its modern standardisation to King Francois I who, in 1539, decreed that French, not Latin, would be the official language of the country. Known as le Père et Restaurateur des Lettres (the Father and Restorer of Letters), his work would later pave the way for Cardinal Richelieu to establish the Academie Francaise in 1635 and promote and preserve the French language. Today, French is the second most spoken language in Europe and remains a working language of the United Nations and European Union. With more than a million words, 20,000 new ones are added each year, many find their way into the English language. Pardon, surf, pedigree, femme, chic and bourgeois all come from French so it’s likely that you already know (and use) some of the language. Beyond the basic niceties, mastering these handy words and phrases will prove incredibly rewarding and most likely net you better service everywhere – at least while you’re holidaying in France. It never hurts to say hello in any language. In France, it’s almost an unofficial rule to say it when you enter a store. The French love the word so make sure you tag it onto any request – be it your morning espresso order or when you give your cab driver the address. You can also combine it with bonjour (“bonjour s’il vous plait”) before asking someone for help. 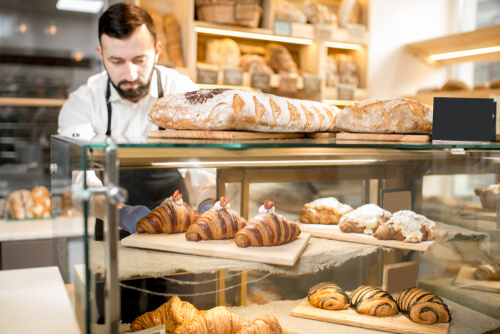 Rather than just nodding or shaking your head, uttering either word will come in handy at the market or boulangerie (bakery) when the storekeeper points at an item in question. Introductions are a formal affair in France so when meeting someone for the first time, make a good impression by asking for their name in French rather than English. As a follow-up to being asking someone’s name, you should introduce yourself accordingly. The French appreciate manners so even if you’re brushing past someone on the sidewalk, it’s important to say excuse me. This also comes in handy when attempting to get the attention of service staff or, while using public transport. Just as the Japanese bow, the French say pardon multiple times a day, whether they’re asking to pass you or asking you to repeat your request (which will most likely be in English). Even if you have Google maps fired up, you’ll be pressed to ask for directions at some point whether it’s to the toilet (toilettes), exit (sortie) or train (metro). If you’re traveling by train, this will come in handy. Also, keep in mind you’ll need to state if you want to buy a one-way (simple) ticket or round-trip (retour). While prices are usually stated on menus and signage, you may need to ask for the price at small stalls or markets. Knowing this phrase will take a lot of pressure off ordering while in France. Do keep in mind that carte means a la carte, while menu indicates the prix-fixed menu. If you have dietary restrictions (or have a phobia when it comes to eating frogs legs or snails) you can make your request while ordering. Some common food-related words include: la noix (nuts), les fruit de mer (shellfish), le poisson (fish), le soja (soy), la viande (meat). For vegetarians, it’s végétarien (for men) or végétarienne (for women). For vegans, it’s végétalien(ne). In France, you have to ask for the bill – it won’t come to you. When you’re ready to leave, request the attention of the service staff and ask politely. Another word you’ll hear daily. Be sure to thank everyone from your waiter to the doorman. If you want to emphasise your thanks, just tag on beaucoup (a lot) at the end. Goodbyes are just as important as hellos – a polite conversation always ends with a warm au revoir. Just keep the ‘re’ silent and you’ll say it just like the French.